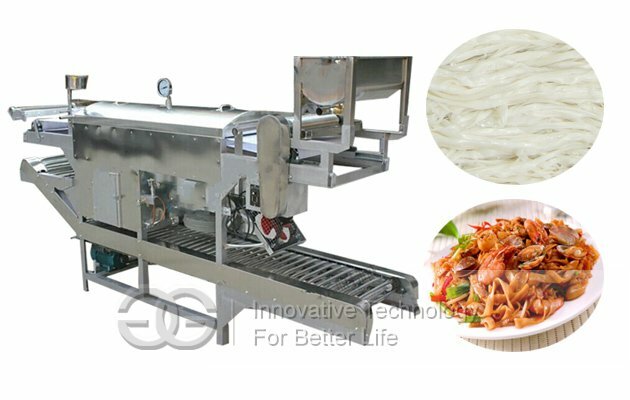 Automatic rice noodles machine (Ho Fun Noodles, Shahe Fen) is mainly used to make noodles from rice. This machine can automatically finish adding oil, molding, steaming, cutting, which is an ideal machine for local flavor snack. Using direct thermal heating, heating up fast, low fuel consumption than ordinary rice noodle machine saving more than 40%. 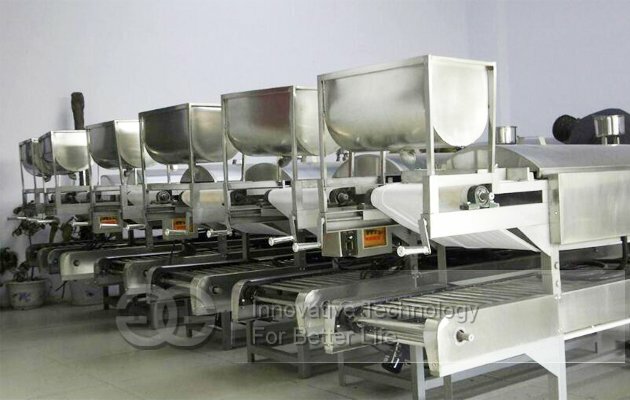 1.The automatic rice noodles making machine makes the roller can press the best quality flour slice, at the same time ensure a longer service life. 2. Worm gear pairs are equipped between the rollers, it will be more easy in operation, high precision and efficiency. 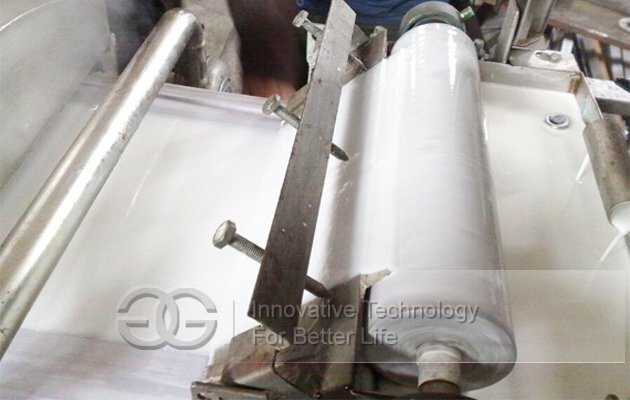 3.Pressing process controlled by the frequency control and the rollers can run independently. 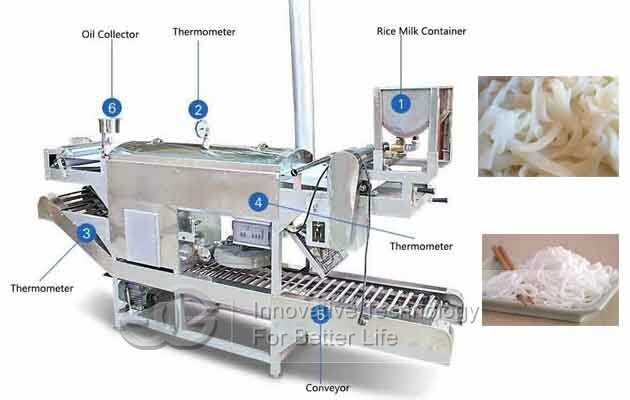 4.The automatic rice noodle making machine is a new technology noodle making production line. 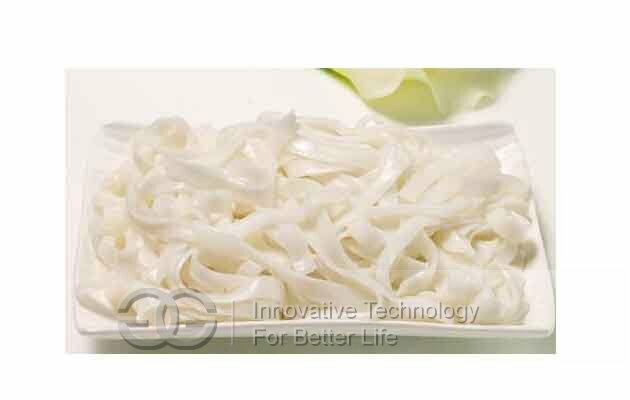 5.The rice noodles machine saves labor and saves time, easy to operate, with high-output and high-efficiency. The price is reliable quality,nice-appearance and reasonable design.